iP3: Unlocked iPhone 4 goes on sale today! 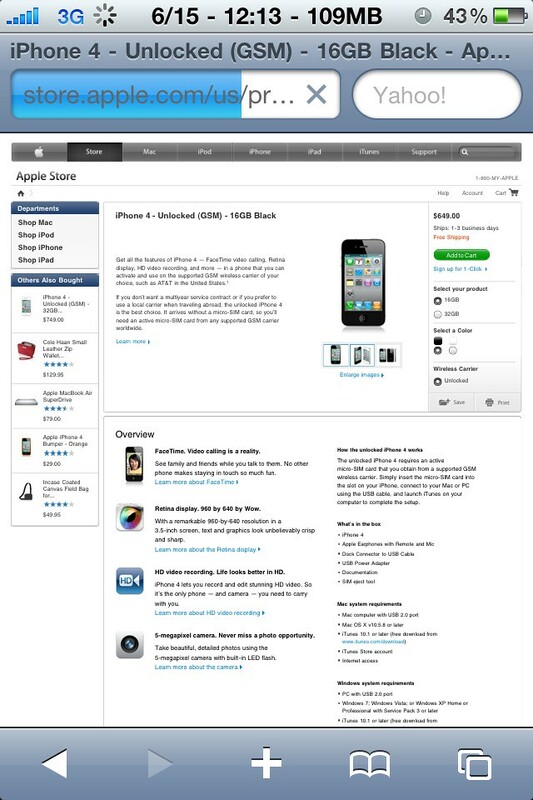 It may seem that the rumors have been true, Apple has released the iPhone 4 in both black and white gsm factory unlocked. These iPhones retail at $649 for a 16gb & $749 for a 32gb iPhone 4 in ether what or black. 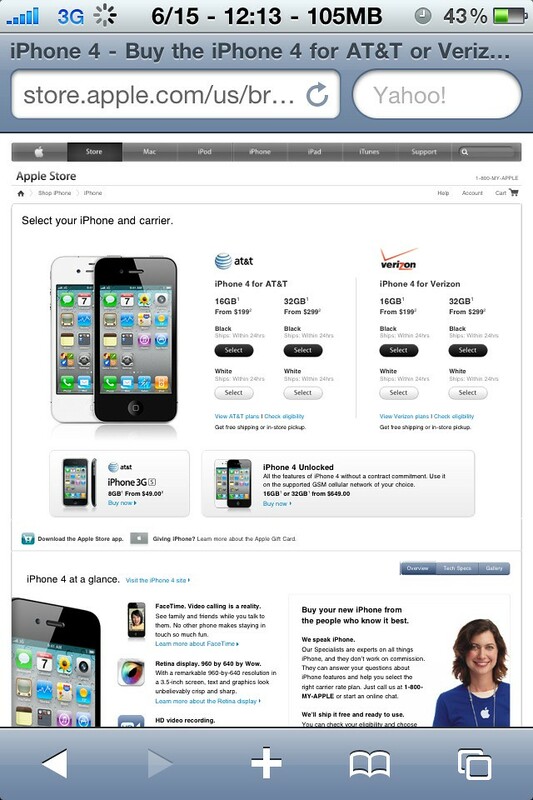 You heard it hear first, and you can buy your very own factory unlocked iPhone 4 from Apple here.